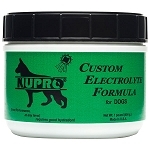 Specially designed to condition your dog from the Inside-Out! 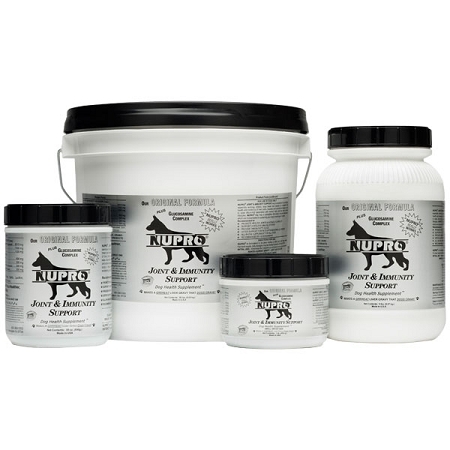 NUPRO® All Natural Dog Supplement was researched and developed by a nutrition doctor. 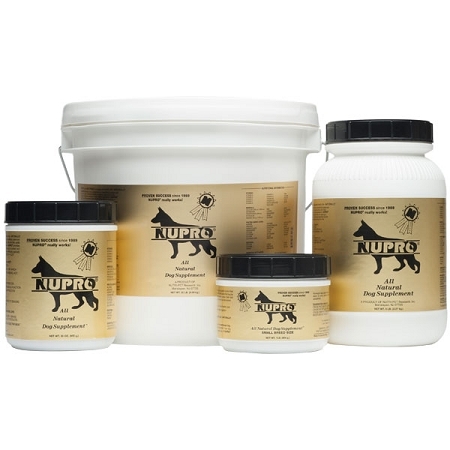 Our totally holistic formula provide a rich source of essential vitamins, minerals, and digestive enzymes, that your dog does not get from his/her processed food. 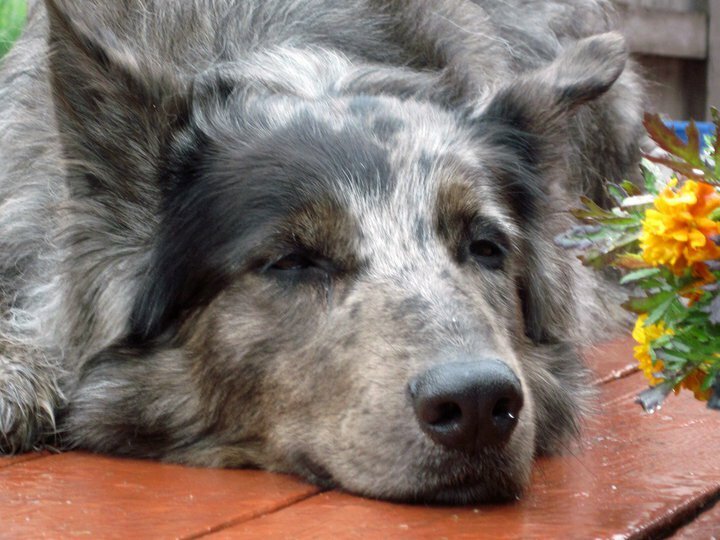 In other words, what we are doing is replacing, with natural ingredients, what your dog would normally have gotten in the wild. 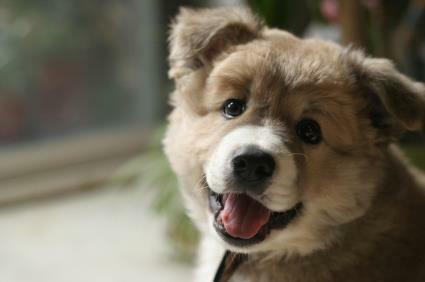 Any of our premium formulas can be used as an All-In-One Supplement for all breeds and all ages from Puppies to Seniors.